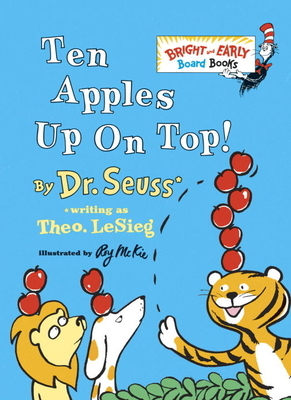 All Editions of Ten Apples Up on Top! Written with an expert knowledge of small children. Graphics, color, vocabulary, (ie. single words and short sentences for early readers, common household examples of words, rhythm and rhyme). Great, fun stories and characters! Timeless!! !